As a mom of 2 ice hockey players, we are forever on the go and my purse is the tote-all for snacks, beverages and coins. I dislike unhealthy snacks because it seems one bag of chips leads to 13 more and then the kids have no eating regime. Vending machines are fine in a pinch, but I will not sustain that consists of foods directly from a vending machine, not even coffee. I am organized, and prepared long before our days of running occur, and a simple stop to our local warehouse club is all I need to get through a few months of on-the-go sports snacking. Whether you are the parent or the child, snacks are an important part of fueling up, staying energized and feeling good and what you grab does make a difference. Driving from arena to arena, place to place and hockey game to hockey game can be wearing and expensive, but if you are planned for ahead of time, you can make the snack choices, delicious, fun and stocked up before you leave! Playing hockey creates hungry kids and snacks help between meal stops! Here are a few that I have found very useful in all our hockey travels! As a mom of two boys that play hockey, I make certain to ‘stock up’ on those items I know they love, and those items that port well when traveling from deck hockey to ice hockey! What snacks are easily portable? I knew you would want to know what hockey moms stash in their bags, and here is a quick list to help you out! 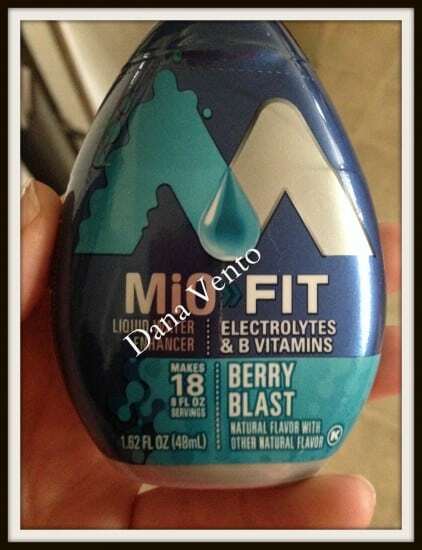 Mio – this will help out any bottle of water! You can give your kids sports Mio which replaces lost electrolytes and all you need is a bottle of water, very instant, and very tasty! Pringle Cans. This cans are easy because the lids snap right back on, making the can so portable and easy to tote! My boys love their own cans and their own flavors, I also like the snack because it is baked, not fried! Welch’s Fruit Snacks – I love these because these tote so easily in their hockey bags, and the bags can take a beating and still be edible! I love because these port well in my bag as well! As a mom, I get hungry too and the best way I have found to curb my appetite and get great nutrition, meet my newest obsession: the Balance Bars! Chewy, Chocolate and delicious down to the last bite! These are my opinions as a mom that totes hungry boys and herself from game to game, your opinions may differ!